I always thought it might be fun to start a blog/site that talked about different drives in Colorado/across the states. Show pictures, describe how scenic it was, etc. 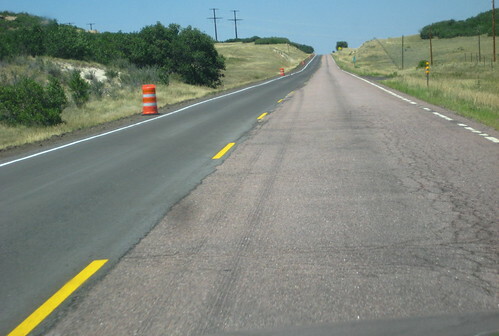 I thought this after doing some of the better drives – that is, CO-82 into Aspen, for example. Or good parts of US-285 in the mountains. 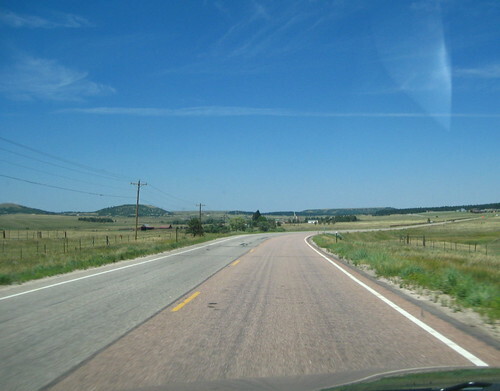 Then, on Sunday, August 5, I decided to drive back from dropping Brandon off in Colorado Springs taking the long way – up US-83, also known as Parker Road for those in the metro. I took a few pictures, but I don’t know if they truly describe that drive. The drive wasn’t all that exciting, to be perfectly honest. Not one of the better ones in Colorado, even. Still, it had its own charm. It started off in a bit of suburbia in the Springs … or as close to one gets down there. 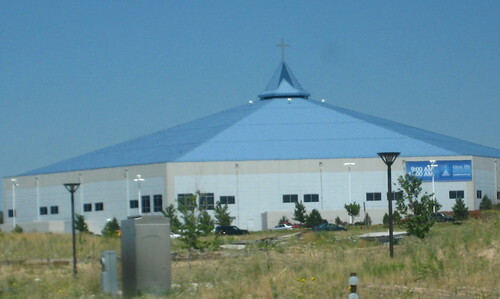 I passed by what could be THE megachurch in the Springs – this place had a huge campus and I didn’t even capture all of it on “film,” so to speak, because I didn’t realize the magnitude until after I’d passed. After the megachurch, the road stopped and started, dead-ending and forcing you to turn another direction. 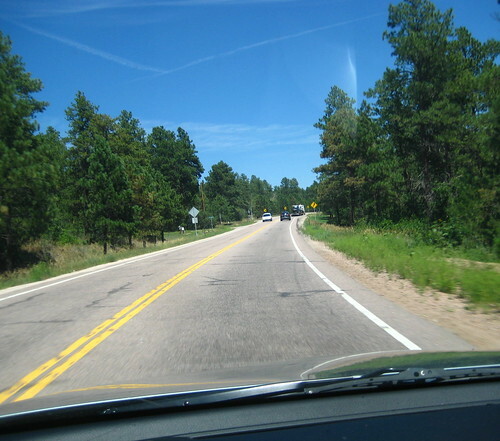 It then traveled through almost mini-foothills, with the more stereotypical Colorado look of rocks and pine trees (though mostly Ponderosas). As you passed the the Tri Lakes area and traversed from El Paso County into Douglas County, you got into farm/ranch land, the reason you still see 4-H in play at the Douglas County Fair every year. Some of that vast openness was in a valley so you could barely even see the mountains; you could have been almost anywhere in the country at that point. You could also see quite a few for sale signs, advertising for ranch land, horse property, etc. Getting closer to Castle Rock and the last part, for me, at least, of unfamiliarity with US-83, I passed by Castlewood Canyon State Park – a place I’d heard about from coworkers, but had never stopped by. I know now that I’ll be returning some day to hike around it. After you cross US-86 and Franktown, you’re essentially in Parker, with lots of horse property leading into nice houses leading into commercial property leading into quaint downtown Parker leading into nothing quite so special anymore, including the turn off to the Dam Road at Cherry Creek State Park and my way home. I could be anywhere, right now. Right before hitting Castlewood Canyon State Park.